Horses for sale – what planet am I on? There’s not much that shocks me anymore. Career activities in the white, blue and no-collar world have given me a broad perspective on ‘the dumb things people do.’ I’m not sure whether it’s the new age of instant gratification (and reduced manners), a contracting equine industry, advertising decisions (word-of-mouth is our usual approach) or the luck of the draw, but that ‘horses for sale’ pronouncement seems to have served as a magnet to the farm for the rude, the brazen and the kooks. Huh? Did you really just say that? Fortunately, many of the Halcyon Acres horses are now sold to good homes, but the behavior of some people has left me shaking my head. It’s not true that the buyer is always right. When the welfare of the horse is a priority, there’s an application process that occurs in the mind of the seller. While you may think you can do or say anything in your quest to secure the mount of your choice, that’s unlikely. The following draws from recent experience. What’s going to happen to the poor horses that land in these people’s hands? Ask if the 10 YO 16.2hh TB off for four years would be suitable for your 5 YO daughter to ride (note well – put a price on your horse, otherwise it’s an assumed giveaway; free horse fanatics flock in droves to such listings, failing to recognize it costs money to care for a horse). Claim you’re a trainer in initial contact even if you’ve never ridden or cared for a horse. Don’t include a subject line, context snippet, nor horse name in your e-mail message (and if you do, make sure it’s the wrong one) then come back with an indignant reply when asked what the e-mail was in reference to. Shoot off an incoherent phrase posing a question that could apply to a car, a dog or a piece of furniture, but no normal horse. Ask if your dressage, fox hunting, eventer goes English or Western. Question what kind of saddle and bridle will be included with your horse purchase. Visit the facility for multiple rides, claim the horse is perfect, then cry poor. When that doesn’t work, complain about the age of the horse. This may seem like a good buyer negotiating tactic. To the seller, it’s bad faith. If you’re looking for recreational riding time for your kid, pay for lessons. Schedule a vet check then don’t show nor extend the courtesy to cancel. Ask if a weanling has been started under saddle. Brag about all the horses you’ve rescued with the pronouncement you’re willing to ‘save’ a horse for sale if it’s given to you for free (can you say hoarder). Frankly, this is the short list. I guess I’m spoiled with the quality of buyers drawn through word-of-mouth. It’s been an interesting learning experience. Most of the horses are getting grabbed from out-of-state as we’ve priced horses to accommodate the costs and inconvenience of long-distance travel. Of course, we do all we can to ensure a great fit first. If you’re looking for a special horse, some of my favorites are still available. Shaquille is a super Irish Draught Sport Horse steal. 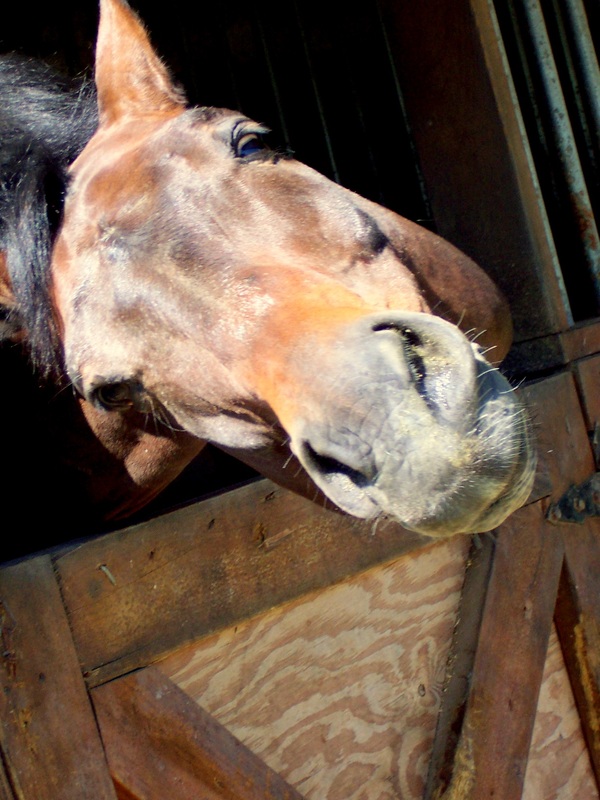 Dixie’s a sweet heart that takes care of any level rider on the trails or in the arena. She’s pretty, well-bred and a joy to work around. Midge is the eager, fun-loving and enthusiastic horse I dreamed of as a kid. She’s game for any new challenge, can corner or stop on a dime, has incredibly comfortable gaits and can go all day. Fielding cold-call queries for the first time after almost 40 years of owning horses has made me realize we need to be doing more to help future equestrians. Without a better effort to reach out, I fear the world may become a more miserable place for our equine companions. Do you have ideas on how we ensure our horses of tomorrow have caretakers prepared for the task? stories to tell? Happy stories of good placements? Please share in the comments below. 6 Comments on Horses for sale – what planet am I on? I would never.buy a horse without knowing I could ride it and have the finances to take care of it. It makes me really sad to see horses with poor welfare and people out there are seriously crazy. I don’t get it either, Cat. I guess because I had such a great support and educating community when I first became involved with horses, I forget others do not. Still, you’d think common sense and caring would factor in regardless. Are you selling all of your horses? I have not seen you on the UBC lately so I had no idea. I do hope everything is ok and your progressing with your planned organic herb garden for this season. Hi Chef William. Yes, I’m selling off all the horses at Halcyon Acres (http://HalcyonAcres.com) along with the property and my stuff. I’m hoping to be able to continue the produce business as spring hits (should at least be able to handle herb demand) but don’t know yet where I will land. If it’s soon enough and warm enough, I should be able to replant (literally and figuratively) the fruit and vegetable offerings as well. You are not alone Nanette! I’ve worked in the horse trade for two decades now – a bit everywhere but mostly in the UK. and i smiled (sadly!) to hear you have the exact same brand of time-wasters, joyriders, and fantasists that we often have…the sad part is that i too worry for the future of our horses and our industry. But on the brighter side; there are thousands of new/amateur riders out there who are actually desperate to learn real skills and gain real experience, one of the problems in the UK is that it’s a bit of a members club, very hard to access the real-deal teachers and horsemen/women unless you’re already in the loop. So instead our new riders get preyed on by opportunist fake trainers and crooked horse dealers who know easy money when they smell it. I don’t know if I’m glad or sad to hear I’m not alone in this challenge. Agreed, it’s important reach out to new or confused horse people. It’s so nice to hear you’re doing this, Holly.